Tommy Pico is author of the books "IRL" (Birds, LLC, 2016), "Nature Poem" (Tin House Books, 2017) and "Junk" (forthcoming 2018 from Tin House Books). He was a Queer/Art/Mentors inaugural fellow, 2013 Lambda Literary fellow in poetry, 2016 Tin House summer poetry scholar, 2017 NYSCA/NYFA Fellow in Poetry from the New York Foundation for the Arts, and won the Brooklyn Public Library’s 2017 Literature Prize. 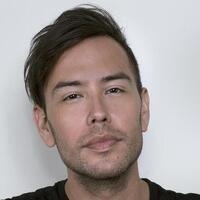 Originally from the Viejas Indian reservation of the Kumeyaay nation, he now lives in Brooklyn where he co-curates the reading series "Poets With Attitude" (PWA) with Morgan Parker, co-hosts the podcast "Food 4 Thot," and is a contributing editor at Literary Hub.